Detective Eric Tyrone Smith, Sr.
Detective Eric Smith was shot and killed inside the Jackson Police Department's headquarters building while interviewing a murder suspect at approximately 6:00 pm. The subject attacked Detective Smith inside of the interview room. 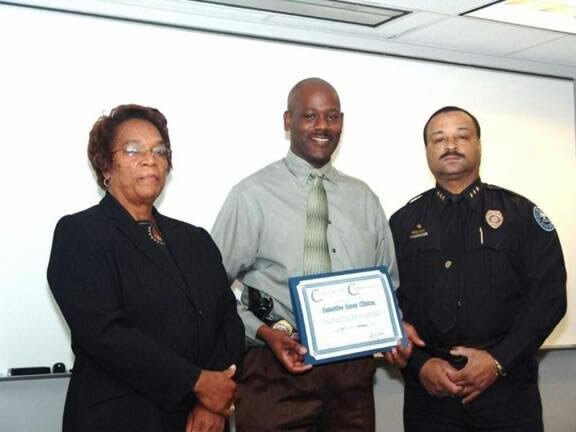 The man disarmed Detective Smith and fatally shot him before turning the gun on himself. Detective Smith was a U.S. Marine Corps veteran and had served with the Jackson Police Department for 18 years. He is survived by his wife, who also serves with the Jackson Police Department.